If books make you smile St Ives was the place to be today! 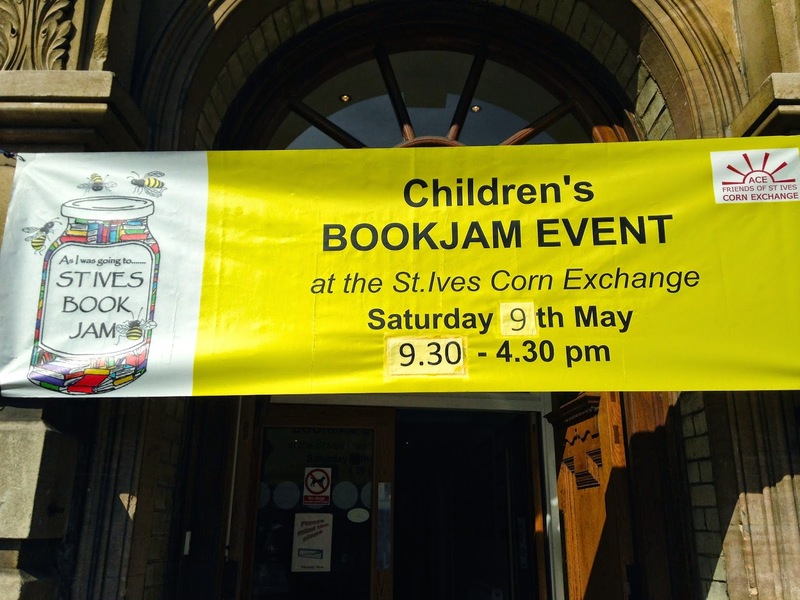 I was lucky enough to take part in the first St Ives Book Jam in 2012 - a fantastic all-day free book event for children, supported by local schools, libraries, booksellers and businesses - and so I was thrilled to be invited back again this year. 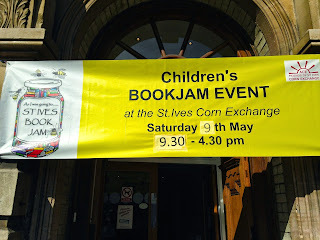 It was great to see how the event has gone from strength to strength - the Corn Exchange was buzzing with book-related excitement (literarally - the mascot is a giant bumblebee - of the furry dressing-up kind, not a real one, I should add!) There were all kinds of author and illustrator workshops going on . 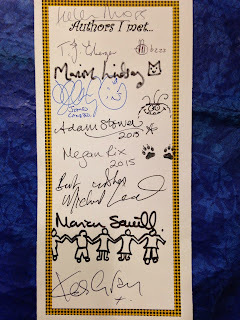 . . some of the children were there all day and had been busy collecting autographs on the special cards that had been handed out. It was a treat to talk to children about Adventure Island and Secrets of the Tombs. Today's workshop focussed on settings, and there were some brilliant great ideas for places for stories, including a rainforest full of wildlife and a crashed rocket on a distant planet. Thank you to everyone who came along. 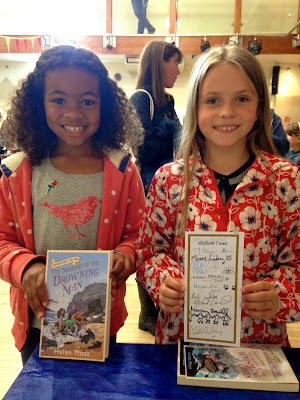 I really enjoyed meeting you and chatting with you about reading, writing and what my next books might be about. And don't forget, if you were at the workshop and would like to send in your idea for an island and a scene set there (maximum 500 words) I'd love to see them. A signed book is waiting for the writer of my favourite exciting setting! 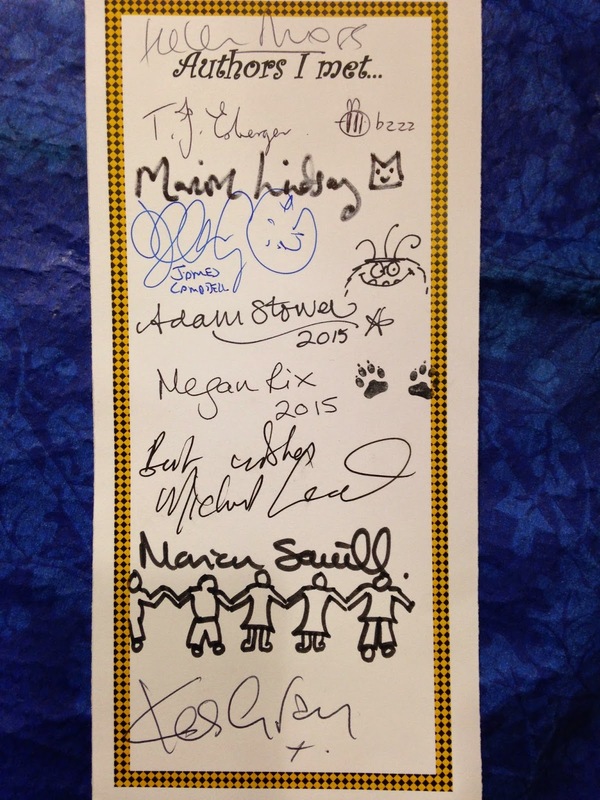 Thank you to everyone involved in Book Jam for making it such a great event.